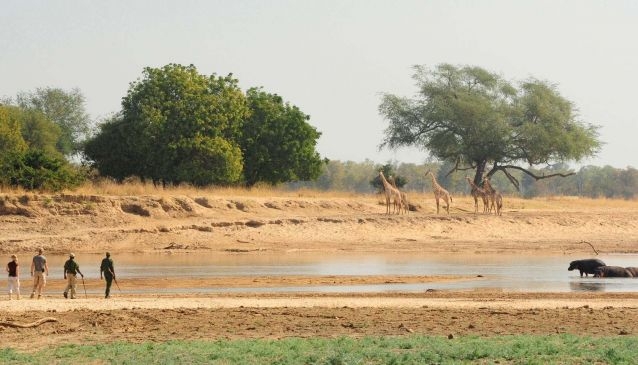 Camps in the South Luangwa include Kapani, Luwi, Nsolo, Kakuli, Mchenja and Chinzombo. Norman Carr pioneered walking safaris in the 1950's and the Luangwa Valley today is argueably one of the best places to explore on foot. With over 400 species of bird occurring in The Luangwa Valley, this is a stunning destination for any ornithologist. The quality of the guides throughout Zambia but especially at Norman Carr Safaris will ensure that you get the most out of your safari experience, whether you're a first timer or an old Africa hand. We have been running photographic safaris in Zambia for over 60 years. The equipment used has changed somewhat over the years but our emphasis on attention to detail and getting our guests up close to the animals of the Luangwa Valley has not altered at all.